Meet a cardiologist who’s found success in treating heart disease and helping patients to live heart-healthy lifestyles. Dr. Agnieszka Silbert had an inkling that she might become a physician when she began administering shots to her dolls at age 6. But it was two serious cardiac episodes experienced by loved ones that steered her toward cardiology. Years later, her mother nearly suffered the same fate. That’s when Silbert realized she had a family history of heart disease, and decided her calling was to help others dealing with the same issues. “It definitely hit home,” she says. “My grandfather died and my mother suffered a scare, so I had an obligation to get involved, if I wanted to stay alive to help others.” Silbert’s mother is now 80 and healthy, thanks to regular exercise and a modified diet. Silbert is the owner of Advanced Preventative Cardiology, 650 Spring Hill Ring Road, West Dundee, and medical director of the Women’s Heart Center at Presence Saint Joseph Hospital in Elgin. She opened her own private practice in 2011, to better connect with patients. Silbert is a non-invasive cardiologist who specializes in cardiac diseases of women, and diagnostic and preventative cardiology. She is board certified in cardiovascular diseases, internal medicine, echocardiography, geriatric medicine and nuclear cardiology. Her focus is on early detection and treatment of risk factors, to help to reduce the need for surgery and invasive procedures. After graduating from the Medical University of Warsaw, Poland, Silbert moved on to England for additional coursework, before coming to Chicago to do a three-month externship. She completed her residency in internal medicine at Advocate Illinois Masonic Medical Center in Chicago, and earned her cardiology fellowship at Advocate Lutheran General Hospital in Park Ridge. Silbert is a Fellow in the American College of Cardiology. That sense of empowerment ultimately led Silbert to open her own practice. Still, it wasn’t easy getting the business up and running. There was a tremendous learning curve, especially after working for health care systems for a decade. 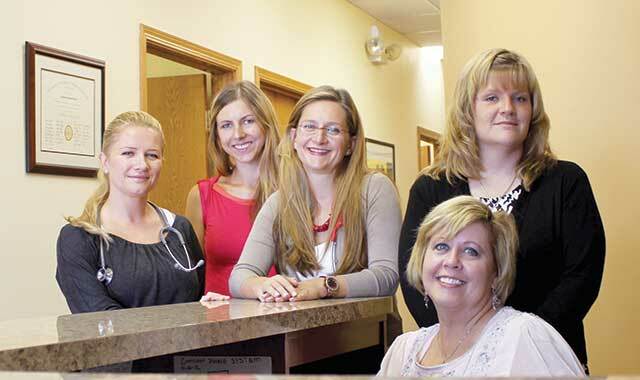 Advanced Preventative Cardiology has five full-time employees. Nurses serve as life coaches, helping to devise 12-week diet and exercise plans for patients. Care coordinators help patients to schedule the many appointments they have, including those with other medical providers. Last January, while on vacation in Hawaii, Yolanta Hadden experienced disturbing symptoms that included fatigue, sweating and difficulty sleeping. After returning home, Hadden learned of Silbert and Advanced Preventative Cardiology from someone in a women’s heart support group she was attending. She made an appointment. Through a battery of tests, Silbert discovered that Hadden was suffering from atrial fibrillation – an irregular heartbeat – and took the necessary steps to help her patient to recover. While Silbert treats both men and women in her practice, she emphasizes the need for women in particular to pay attention to symptoms of heart disease, the leading cause of death among women. According to the American Heart Association, a woman in the U.S. dies of a form of cardiovascular disease every minute. Regardless of gender, heart disease must be fought with healthy lifestyle choices. “What’s happening is that we’re becoming overweight and obese due to poor eating habits and lack of exercise, which leads to coronary heart disease, hypertension and disability,” Silbert says. “When patients break the chain of eating sugars and processed foods, and begin eating the proper nutrients, they require less medication and fewer visits to the doctor. They feel like they are curing themselves. In order to reach the masses, community outreach is vital. Silbert, who’s married with two young children, helps to facilitate monthly educational and support groups at Saint Joseph Hospital. Soon, she will begin an educational program geared toward Spanish-speaking women. For her community efforts, Silbert was honored last year by the American Heart Association. This entry was posted on Monday, October 21st, 2013 at 11:59 am	and is filed under Northwest Business Magazine. You can follow any responses to this entry through the RSS 2.0 feed. Both comments and pings are currently closed.